These imperators are found on Roátan, the largest of the Islas de Bahia off the coast of Honduras. 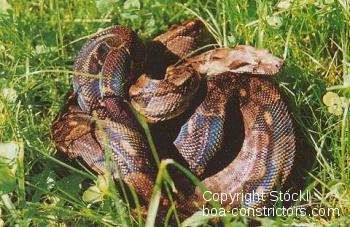 In contrast to the mainland form, they are more colorful and grow larger than their acquaintances on the mainland. We presume that the females can reach almost 8 ft in length. 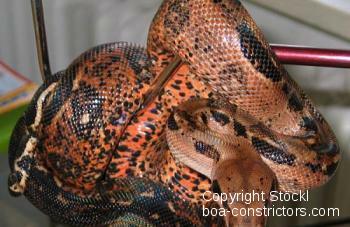 Dennis Sargent, a well-known boa breeder in Winter Park/Florida first produced a wonderful variation of the Bahia Island Boas. He called them "Firebellies". From Cayo de los Cochinos, an Island off the coast of Honduras, an interesting color variation was imported to Germany first in 1988. 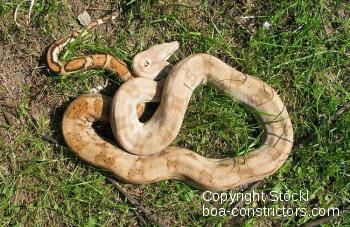 The basic coloration of these so-called Hog Island boas, reaches from a milky white up to bright gray-brown. Some extraordinary specimens show a shining orange. 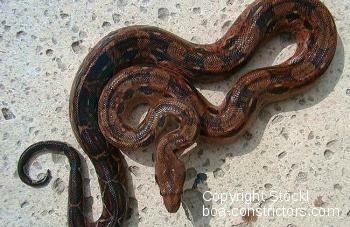 Hog Island boas change their shade. While they are extremely bright and almost without recognizable markings in the morning, they are darker and rich in contrast in the evening. 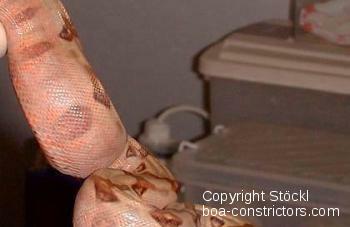 The "Hogies" are a small morph. 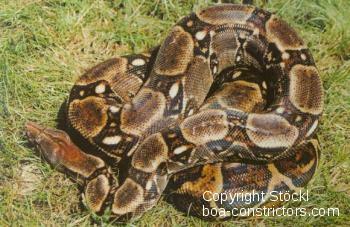 Normally the females reach 6 ft in length at the most.